As an automotive professional, you already know that clean oil is critical for optimal engine and equipment performance. Dirty oil contains many different contaminants which create friction, promote toxic emissions, and, acting like sandpaper, continuously grind away at critical engine components (engine wear) as you drive. The many benefits of finely cleaned oil have been extensively studied in both lab and field testing for many years. Maintaining finely cleaned oil is considered a Best Practice for its economic and environmental benefits (see PBF Overview, References). 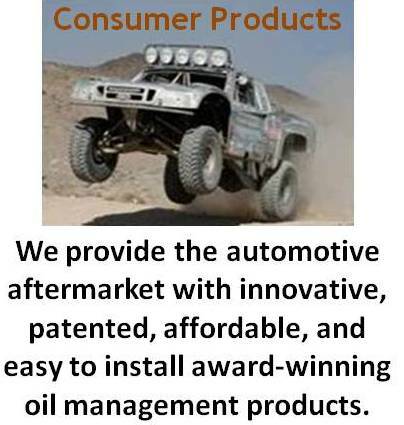 Why is oil bypass filtration the best solution for providing engine asset protection? Oil cleaning examples include a centrifuge (a complicated and expensive approach with moving parts), or combining the full-flow and bypass filter (which has a smaller loading area, requiring more frequent filter changes). Using specially formulated oils can also help, but is expensive and not as thorough. Polishing oil through fine filtration, with the slight increase in oil volume, leaves oil bypass filtration as the most favorable solution. Oil bypass filtration reduces inventory (oil and filters), lowers labor and disposal costs, and provides a cleaner environmental footprint. A simple, direct and measurable solution that is economically and environmentally beneficial. Your full-flow oil filter has competing requirements: providing a sufficient film to protect critical components and ensuring a sufficient supply of oil to the engine and not allowing dangerous debris to pass through it. To provide this film while avoiding engine oil starvation, the filter must be porous enough to consistently allow dangerous debris, about 20 microns or smaller, to pass into the lubricating system. Studies confirm that debris 10 microns or smaller is the major cause for engine wear. By acting slowly and thoroughly, oil bypass filtration protects the engine from wear and prevent other serious problems. A major US-DOE study set that figure at almost 90%. What is unique about the PBF System? PBF sends finely cleaned oil directly into the engine galleries where it is needed, not back into the sump or valve cover, providing the most efficient and energy conserving path for the oil to follow. It is easier and faster to install than legacy systems. The addition of a small amount of oil for the bypass filter also provides some cooling, always a good thing for the engine. While combo filters may also do this, they have much smaller capture areas, requiring more filter changes. The Donaldson bypass filter we provide has a recommended service life of 25,000 miles. We recommend checking the filter periodically as part of your normal maintenance routine. This consists of placing your hand on it while the engine is at operating temperature: A hot filter is active, a cold filter is clogged. By the way, if the bypass filter does happen to be clogged, the full-flow filter takes over, just as if it was working alone. Oil sampling can provide you with data to determining your best oil change cycle. The number of fleets doing annual or biannual oil/filter maintenance is growing. Under normal operating conditions, this is becoming a typical service interval. 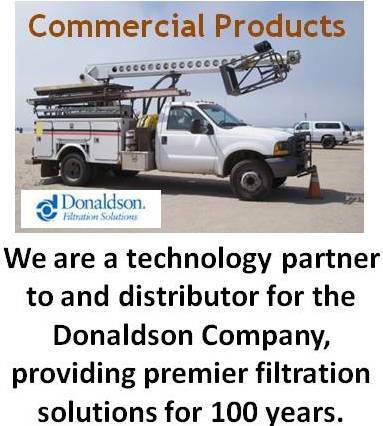 If requested, we can offer other Donaldson filters with higher or lower filter media density. (see Chart 1 for an oil analysis after 30,000 miles of travel without an oil change on a 2008 Toyota FJ Cruiser). What technical support does PPI offer? We provide detailed installation instructions, on-line video examples, and phone assistance if needed. Once you've installed your first PBF unit, the process generally becomes faster and easier. The most time spend on installations seems to involve choosing where to mount the bypass filter. 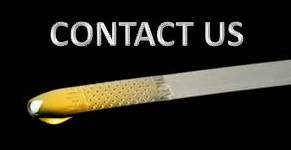 Of course, we are available to answer any questions you might have prior to, during, and after installation. Won’t this affect my warranty? No, unless prohibiting this specific aftermarket part is spelled out on your contract and also is clearly communicated to you. The Federal Magnusson Moss Warranty Act (Sec. 700.10 Section 102(c)), states "no dealer or manufacturer can void a warranty simply because an add-on performance accessory has been installed, or a vehicle’s maintenance practices have been changed.” OEMs, as a rule, will neither approve nor disapprove any product which they do not manufacture or sell. If a dealer tells you that installing an oil bypass filtration system will invalidate your warranty, check your contract or service agreement; it will likely not be there. What are the additional ports for? These ports are provided to accommodate a gauge, sensor, clean oil sampling plug, cooler, or other related devices. Note that due to its advanced plumbing, PBF works with many, but not all bypass filters or external devices. Generally speaking, other filters may have too restrictive a media. Some external devices may also be incompatible. We can help you to sort this out if you are planning to modify the PBF system and are unsure if what you want to do is possible. If you have a proposed application not discussed here, please let us know. We are always interested in new and creative applications.